He called off so off I went to see what this Duc was aboot. The west of nesbitland was showing wet,,,,,,,,,,,,,,,not going there on sport tyres thanks. Off east I headed, thinking it'll be cold but dry. How wrong I was,,,,,,,,,,,,,,bright blue skies and the temp gauge didn't dip below 12 degrees. 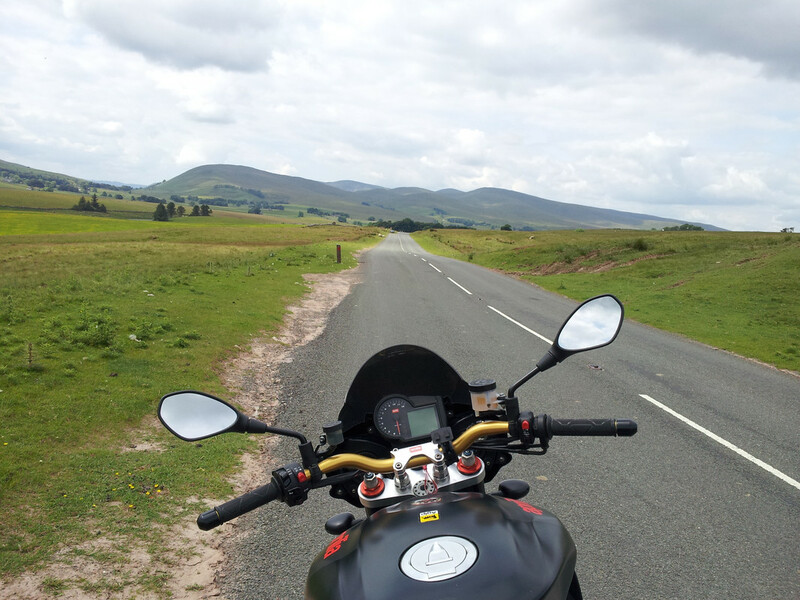 I headed for the Glenshee - Lecht area through a mix of different road types and arrived in Crieff. From there I headed up the Sma Glen to Aberfeldy then left to Pitlochry. I took that braw wee road from a mentally busy Pitlochry towards Bridge of Cally then onto the A93 past Glenshee and off towards Tomintoul. Never got as far as the Lecht,,,,,,got to a junction that had Ricoland on it and decided to try a new to me road. 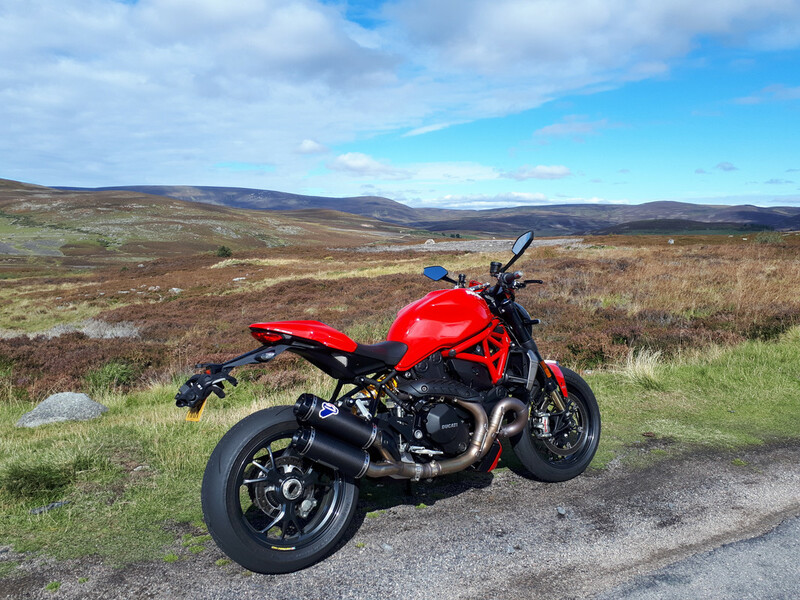 Rejoined the 93 and went south back up to Glenshee,,,,,,,,,,,,,,,,now those of you that have been on this road know how cold it gets as you climb up to the ski centre. Not today,,,,,,,,,,,,,,,it was fukkin roasting,,,,,,,,,,,,,,21C across the road from the main car park. A pic from the top of the Tomintoul road. 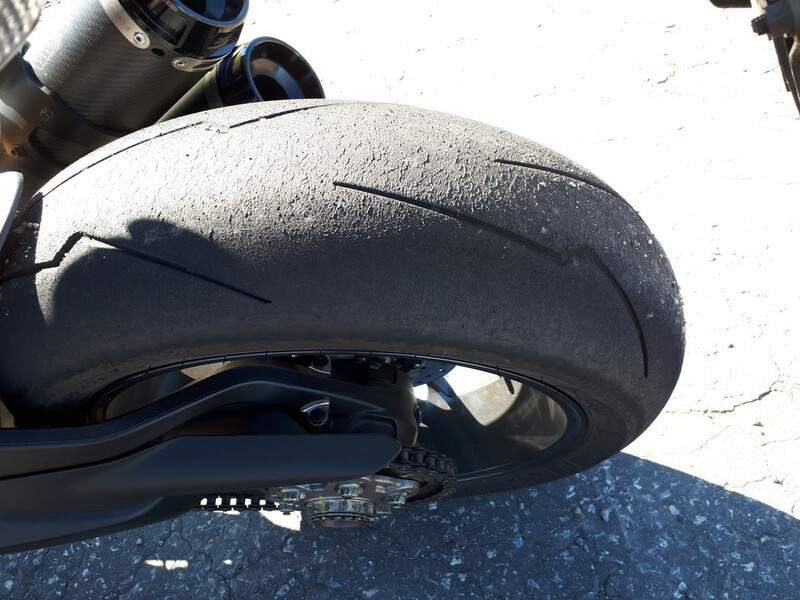 When I collected my munter the rear tyre was squared off a bit, today I gave it a bit of welly to see if I could knock the edges off. Unfortunately it didn't work but I fair enjoyed trying it. Looks like you enjoyed the day Aldo. Great roads up there A, even better when the sun shines. A good looking machine there A , looks ace. That hoops showing all the signs of a beltin day put pal. Nice one. Nobs immature. I'm an adult. Pretty agile for a fat lad. That's the problem with the internet. No one knows you're a cat. Tail tidy on its way G.
The rest, I'll just have to wait. Spot on Aldo...hows was the Duc on those whoop de whoop roller coaster bits between Brig o Cally an Spittal o Glenshee...airborne at all ? Ye dinnae like it? Weel jist sook ma root!